The beautiful cotton dhurrie in vibrant colors. 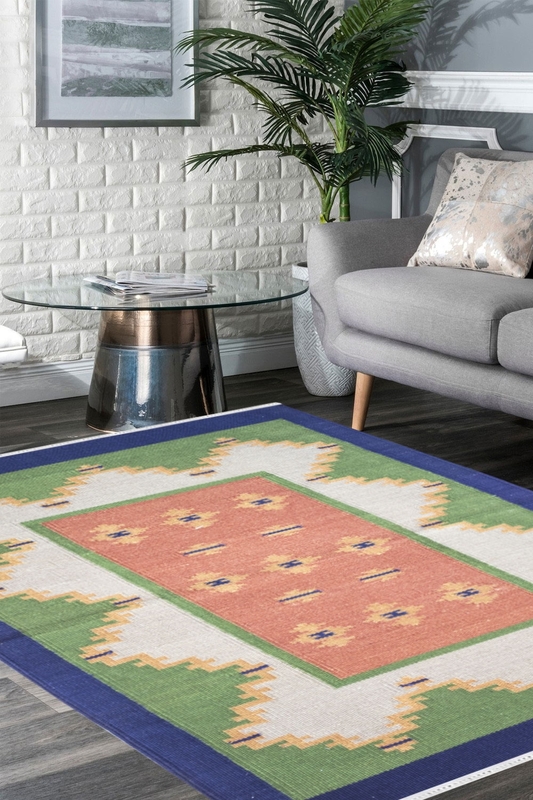 This is the new collection of Rugs and Beyond. This is 100% hand woven durry. This is ideal for a living room. - With this woven cotton Flat-woven dhurrie you will always find a reason to invite people and flaunt your sense of decor. - An excellent addition to your living area the look of the dhurrie is attractive. - Material identity is 100% pure cotton. It means 20count by 20ply cotton yarn has been used for this dhurrie. - It contains Zig-Zag pattern which is very popular and most of the people like this design. - This design is suitable for the modern home interior. This is flat weave durry. - Cotton durry is very thin as compared to carpet.